I don't mean to brag, guys, but I get a lot of offers to tell you about stuff - glittery craft supplies, books about auto parts, apps that track the severity of your dog's breath - but verrrrrry few of them meet the high awesomeness requirements for me to share with you. 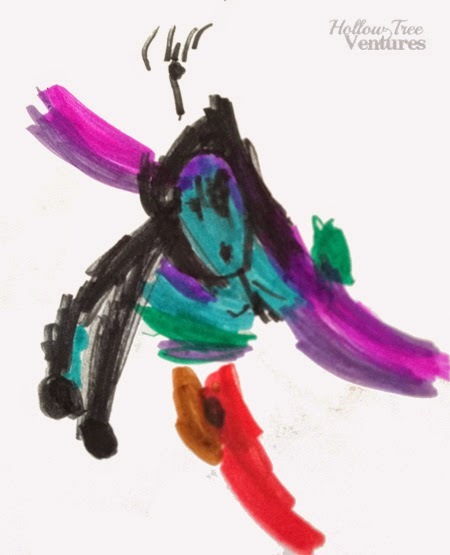 However, as I waded through a sea of discarded but COMPLETELY PRECIOUS artwork made by my children which I never get to look at or enjoy because OMG IT'S EVERYWHERE, a solution appeared in my email inbox. 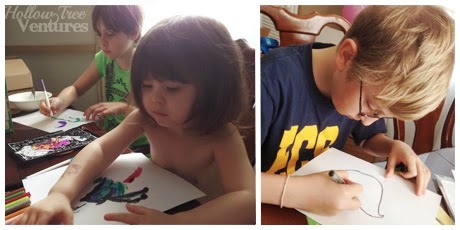 I bet you're drowning in some completely precious kids' artwork, too, and let's face it - if we put everything they made on the fridge, our kitchens would collapse into a heap of magnets and expired milk in the basement within three days, tops. 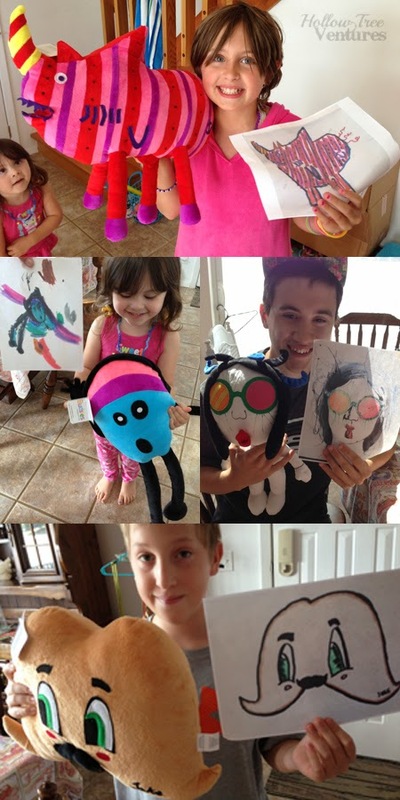 But sometimes some of that artwork is even precious-er (it's a word - I looked it up) than the rest, and Budsies can - brace yourself for the cuteness - turn your kids' art into stuffed toys. I'm sorry I'm yelling so much in this post, but I'm genuinely excited and I CAN'T HELP MYSELF. 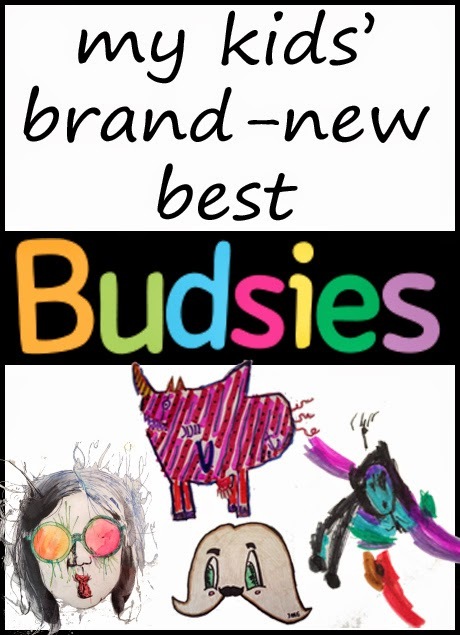 So, even though we have more that 53 zillion metric tons of artwork in the house, I had my three youngest kids make something new specifically for their Budsies, because why not? Plus, I ordered a fourth one for our 19-year-old-not-really-a-kid-anymore kid based on some art he created that already hangs in our living room because I LOVE IT SO MUCH. Sorry, I'll try to keep my voice down. But ISN'T IT AWESOME? Now, Jake went relatively easy on the folks at Budsies with his simple but hilarious "mustache with a mustache." 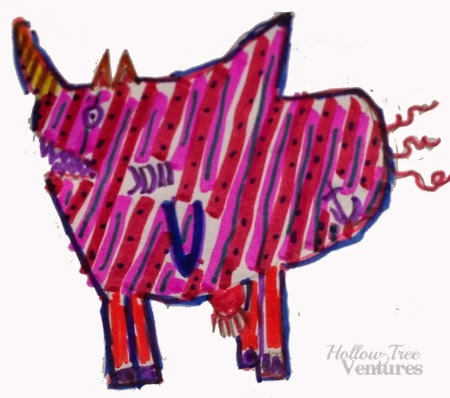 But I'll admit, I was skeptical about their ability to accurately recreate Zoe's striped, dotted shark-unicorn-horse-cat with three curly pig tails and an udder. 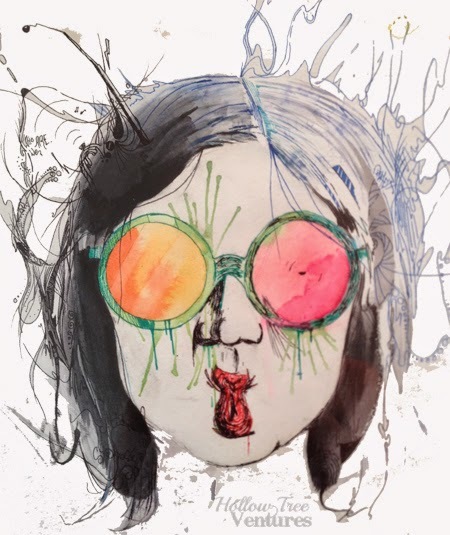 Or Madeline's decidedly wild "lady wif a kinda surprised face and long, long hair yellin' YAYYYY." But they turned out so, so much better than I ever could have imagined. They're so crazily detailed - right down to the sharkicorn's anchor tattoo. 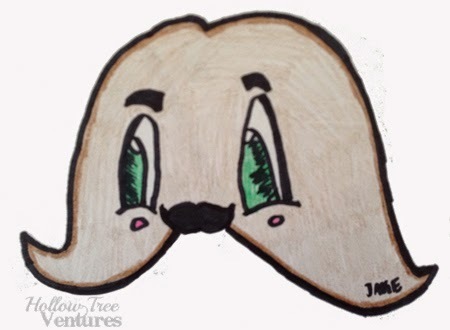 They even sewed Jake's signature from his drawing onto his plush mustache-with-a-mustache, and worked with me to design a body to keep Kennedy's cool artwork from becoming a semi-creepily stuffed severed head. And the kids' reactions? Priceless. I'll let pictures speak 1,000 words, since I'm probably pushing 1,000 words already. 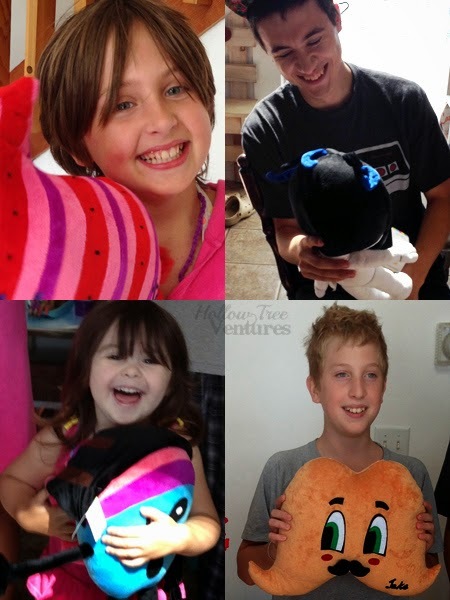 It was so much fun to see how excited they all were, from toddler to teen, and they've been totally inseparable from their snuggly new best Budsies (especially the littles) ever since. Ultra bonus: I got so many Awesome Mom Points, they might even forgive me if they ever find out how much of their artwork has "accidentally" fallen into the recycling bin over the years. The only drawback? Now I want to turn everything they've ever drawn into a Budsie. Until then, I've come up with some occasions when a Budsie would be THE PERFECT GIFT (sorry, yelling again). If you can't wait to get your hands on one, you're in luck! The process is super easy, and right now you can even get a $5 discount on your Budsies order! Trust me, it's so, so, OMG so worth it. Full disclosure: I was compensated for this post with smile-inducing adorableness, but the opinions and memories of my kids' overjoyed faces are all my own. Additional disclosure: we were on vacation when I gave the kids their Budsies, so the 1970s hutch and lobster-themed tablecloth in the reveal photos are not all my own.